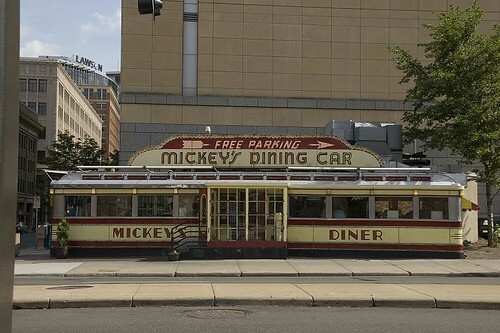 Here’s a random collection of movie filming locations, of which I don’t have enough photos to warrant a separate page. 12-year old Josh Baskin, frustrated at his slight stature, turns into a grownup after making a wish with a fortune telling machine called Zoltar. After frantically searching for the Zoltar machine to turn back into a kid, Josh has some time on his hands, while waiting for information from the Department of Consumer affairs as to the location of a Zoltar machine, and gets a job in the data processing department at MacMillan Toys. 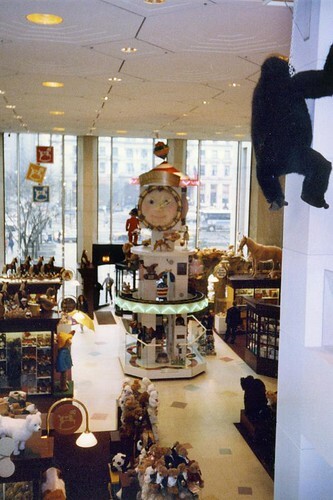 One Saturday, Josh spends a little time browsing at New York’s famous toy store, FAO Schwarz. Many locations of the store were used here, and I visited the store many times with my then 4-year old daughter. (She was very much into “Hello Kitty” stuff and FAO Schwarz had a huge area dedicated to this cute kitty). 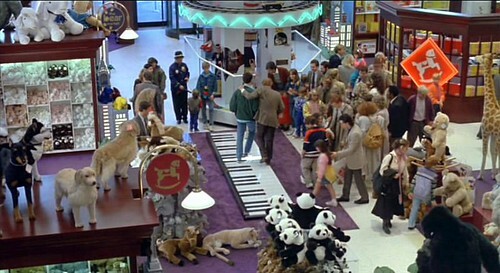 At that time (around 1991-1992), the store had changed very little since the movie was filmed. 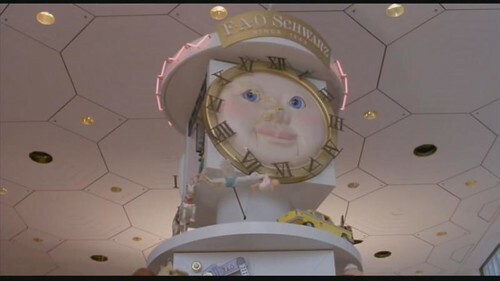 In one of the movie’s most memorable scenes, Josh runs into his boss, the owner of MacMillan Toys, who spends his Saturdays at FAQ Schwarz observing what toys kids are into. He and Josh spend a little time bonding as Josh explains his likes and dislikes of various toys (much to the bemusement of Mr. MacMillan). They stumble about a large floor model “piano,” where Josh starts to play “Heart and Soul.” Mr. MacMillan joins in, and together they do a well-coordinated routine consisting of Heart and Soul and Chopsticks. Having not had so much fun in a while, MacMillan taps into Josh’s knowledge of toys and makes him vice president….one of them, anyway – they have a hundred of them! 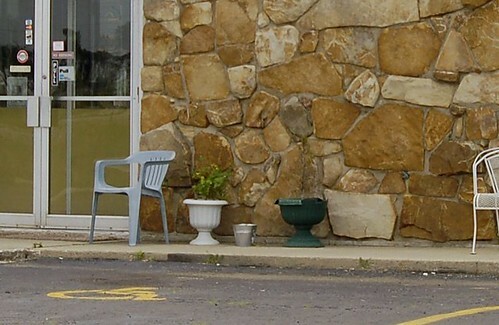 In May 2013, when the photo below was taken, the clock was no longer in this location, as the store was completely remodeled/renovated. It was hung on a wall above an escalator leading to the lower level. 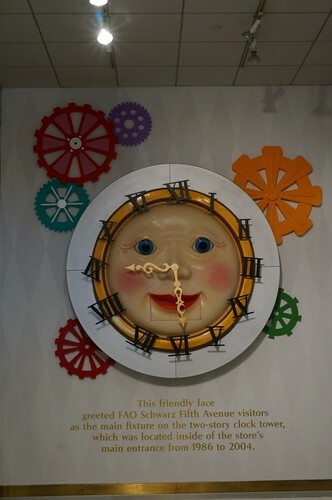 It still played “Welcome to Our World of Toys” every 15 minutes. The store closed on July 15, 2015. 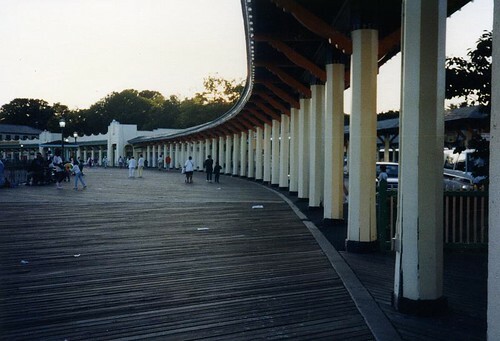 Two scenes in Big were filmed at the location below, which is Rye Playland Amusement Park in Rye, New York. 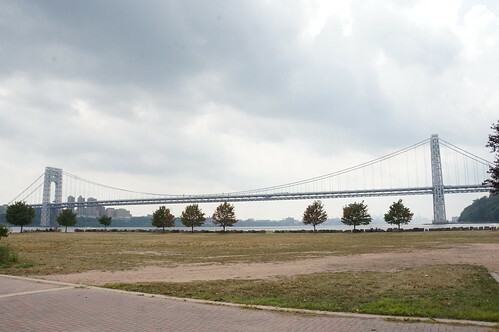 It was depicted in the movie to be “Seapoint Park” New York. 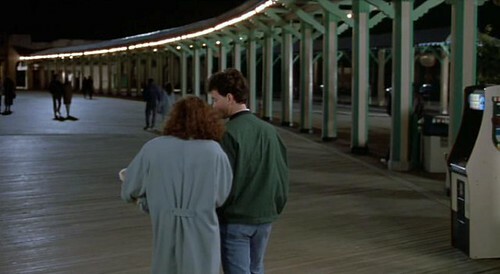 In one scene, Josh goes to Seapoint Park on a date with his co-worker, Susan. 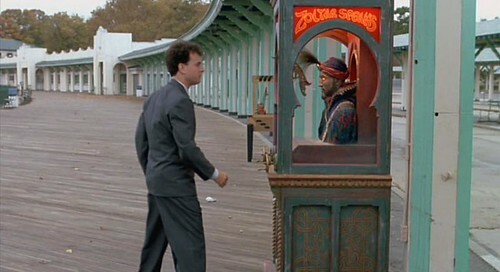 At the end of the movie, Josh returns to Seapoint Park after discovering that a Zoltar machine is here, so that he could make a wish to turn back to a kid again. Where Josh wishes he were “big” with the Zoltar machine at the carnival. The site below where the carnival was held and where Josh rode the next day to find the site looking basically like we did. 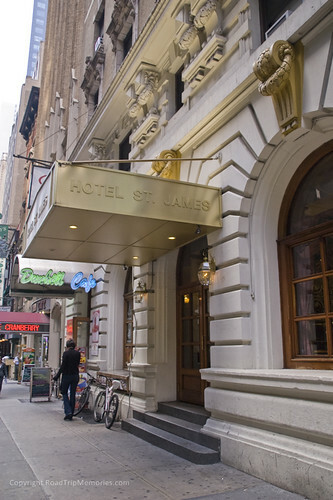 After finding himself “big” Josh needs a place to stay and selects the Hotel St. James. 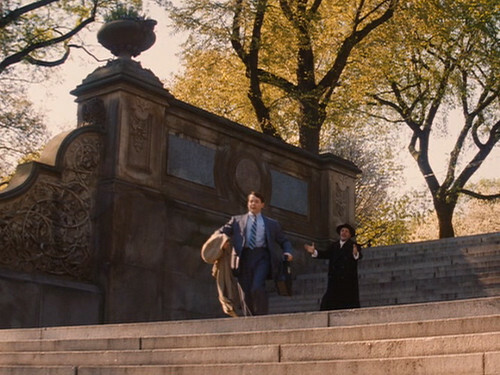 During our stay here in May 2009, we did not find it at ALL in the condition from the movie. Rooms were pretty small, but that’s about it. I should’ve taken some interior lobby photos, as those scenes were filmed there. This is from a scene from “The Producers,” in which down-and-out Broadway producer, Max Bialystock (Lane) is trying to convince his mousy accountant, Leo Bloom (Broderick) to participate in a get-rich scheme. They will oversell shares in a Broadway show, keep the additional money and go to Rio. But in order for the scheme to work, the show must be a “surefire flop.” Leo is too scared to do it, and runs away as Max desperately convinces him that it will work (“We Can Do It”). 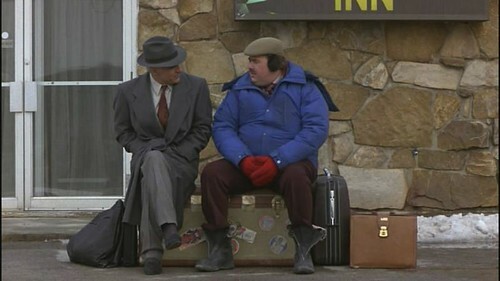 Del Griffith (John Candy) and Neal Page (Steve Martin) are two very different businessmen who met by chance in New York City when Del “steals” Neal’s cab to the airport. Unfortunately, the simple, short flight from New York to Chicago just before Thanksgiving turns into a two-day ordeal, bringing Del and Neal together as they make their way from New York to Chicago by way of Wichita, Kansas. 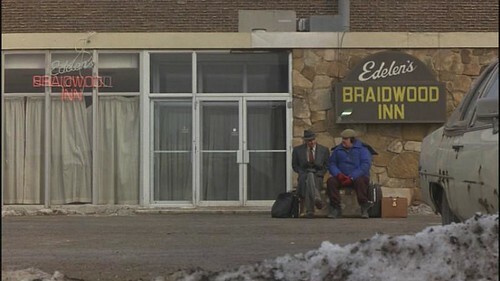 In this scene, they are waiting for a ride to the “people” train station, 40 miles away, which they will make sitting in the back of a pickup truck. 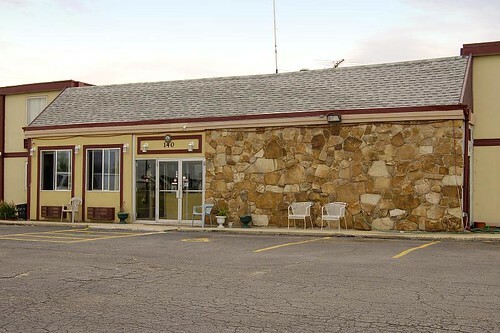 They just spent the night sharing the last motel room in town, at the fictional “Braidwood Inn.” This motel is actually in Braidwood, Illinois along I-55. 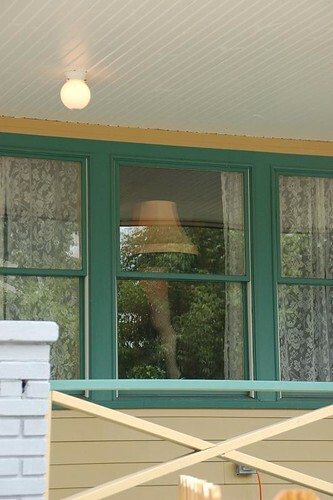 The house in the movie “A Christmas Story” is located in Cleveland, Ohio. For more information, click the link for the official site. 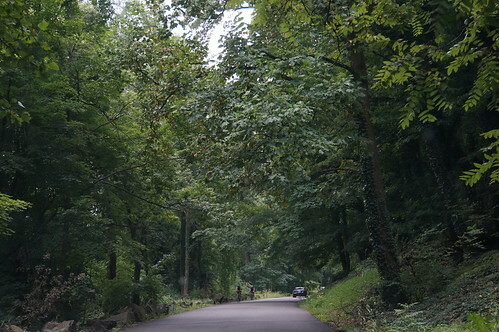 You can visit it and go on a tour! 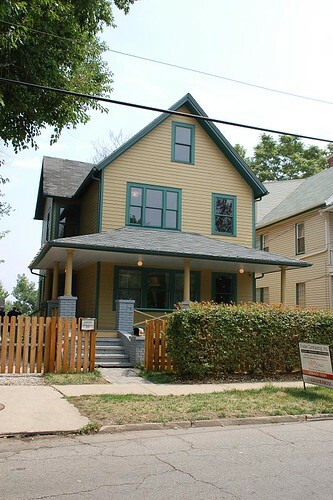 The house was being restored when we passed through Cleveland in July 2007, we just took a couple of exterior photos.